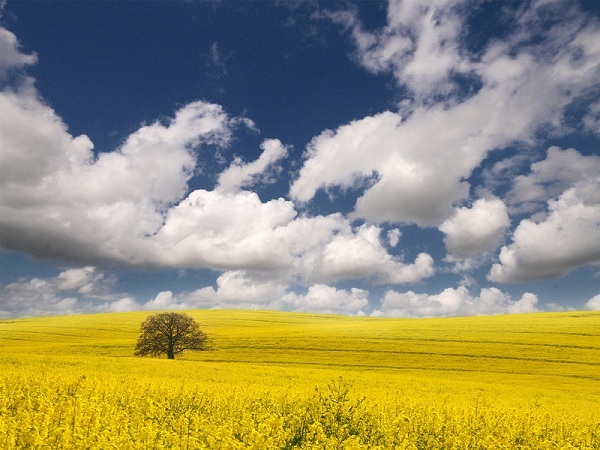 Out Into The Air Wallpaper is an excellent quality Landscape Photo wallpaper of a field full with Yellow Flowers, Blue Sky and Clouds. Out Into The Air Wallpaper is created by p0rg. I have done my best, but I have edited it a lot. I am not happy about the quality, but I hope it will do on some of the smaller screen sizes. 1600 X 1200 pixels ; resize if needed. It is a JPG download, the file is 1.9 MB in size. This Article Has Been Shared 1447 Times! Storm Wallpaper is a landscape photo wallpaper displaying an upcoming storm with dark clouds on the sky and a sea below. Sky and Cloud is a dual sized set of Digitally Rendered Wallpapers. This is a part of artist’s Travel Wallpaper series of Wallpapers. Cloud Reloaded Wallpaper is a digitally rendered photomanipulated wallpaper. You will like this minimalistic wallpaper. Cite this article as: Abhishek Ghosh, "Out Into The Air Wallpaper," in The Customize Windows, September 25, 2011, April 18, 2019, https://thecustomizewindows.com/2011/09/out-into-the-air-wallpaper/.